Use lemon juice to remove scale and discolouration from your stainless steel. 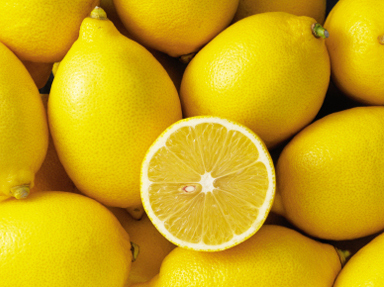 We’ve already seen how you can use lemons to kill germs and clean your kitchen. But did you also know that you can use the juice of this fragrant fruit to also clear away the more stubborn stains and scale that build up around your kitchen? The citric acid in lemons will eat away at scale and stains, leaving your stainless steel shiny clean. Try sprinkling a little salt around your taps. Then rub half a lemon over the surface to remove the build-up of both soap and scale. You can also rub half a lemon on your steel cutlery to get rid of stubborn stains. And leave some lemon slices, lemon juice and a little hot water in your kettle for a few hours – when you empty it out you’ll see the scale is gone and the inside of your kettle is sparkling! Vinegar is also a great natural descaler.